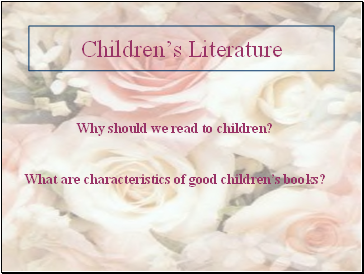 Why should we read to children? 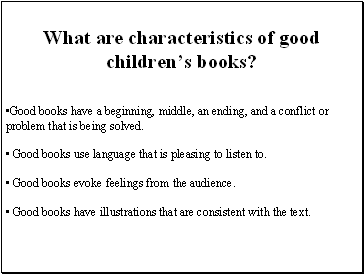 What are characteristics of good children’s books? 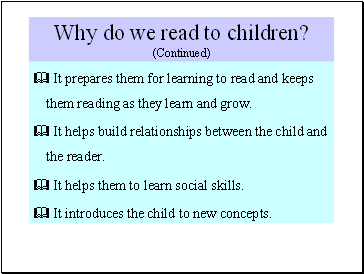 Why do we read to children? 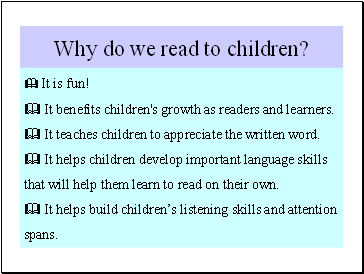 It benefits children's growth as readers and learners. It teaches children to appreciate the written word. It helps children develop important language skills that will help them learn to read on their own. It helps build children’s listening skills and attention spans. It prepares them for learning to read and keeps them reading as they learn and grow. 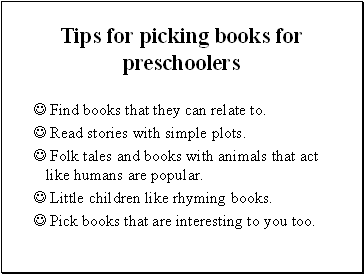 It helps build relationships between the child and the reader. It helps them to learn social skills. It introduces the child to new concepts. 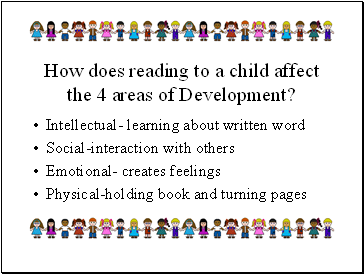 How does reading to a child affect the 4 areas of Development? Good books have a beginning, middle, an ending, and a conflict or problem that is being solved. Good books use language that is pleasing to listen to. Good books evoke feelings from the audience. Good books have illustrations that are consistent with the text. 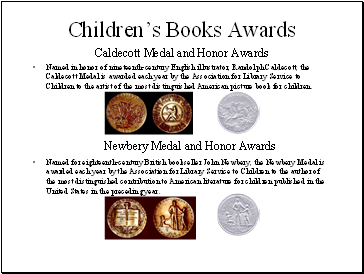 Named in honor of nineteenth-century English illustrator, Randolph Caldecott, the Caldecott Medal is awarded each year by the Association for Library Service to Children to the artist of the most distinguished American picture book for children. Named for eighteenth-century British bookseller John Newbery, the Newbery Medal is awarded each year by the Association for Library Service to Children to the author of the most distinguished contribution to American literature for children published in the United States in the preceding year.  Find books that they can relate to.  Read stories with simple plots. 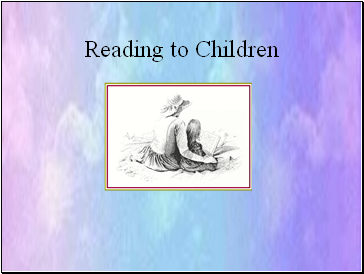  Folk tales and books with animals that act like humans are popular.